I wanted to let you know how nice the Annin book looks. You did a wonderful job and Annin was fortunate to have you working on it. 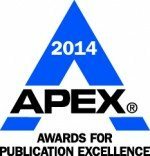 We’re excited about getting it into the hands of our customers, vendors, and employees. 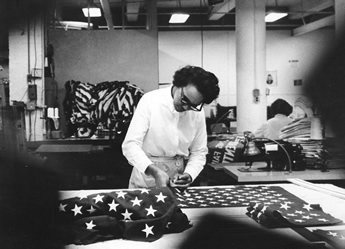 Founded in 1847 and headquartered in Roseland, New Jersey, Annin is America’s oldest and largest flag manufacturer. We are honored to have created the first book-length history of this family-owned company, now being led by members of the sixth generation. To develop Annin Flagmakers: An Illustrated History, we conducted 25 in-depth interviews at three Annin locations and drew on materials from Annin’s archives. Shown on the cover: Three locations capture Annin’s progress. Left to right: the original office on Fulton Street in Manhattan; the Verona, NJ, facility in 1950; and the current plant in South Boston, VA, in 2013. To learn more about Annin, visit http://www.annin.com. Hundreds of historical photos like this one have been archived and catalogued. 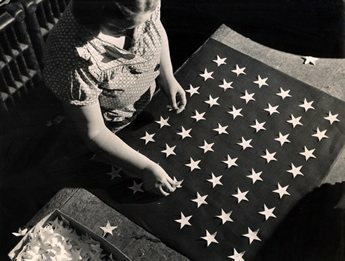 Annin and other flagmakers made pre-rippled American flags for the Apollo 11 moon landing in 1969. (The moon has no wind.) To avoid undue publicity, NASA would not reveal which manufacturer’s work it chose. 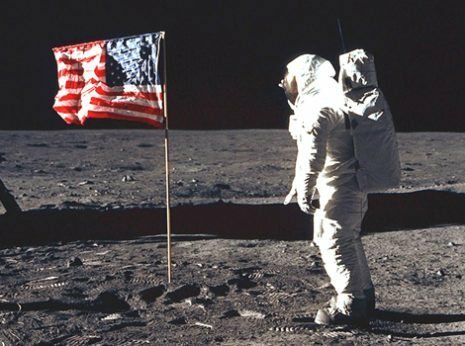 Later, a NASA official privately confirmed that the flag was Annin’s. We archived 165 years’ worth of Annin’s holdings. Its materials — many of which are fragile and historically unique — had been stored throughout the company’s plants and offices, as well as in the basements and attics of company owners. The process turned up some amazing items, from Civil War-era newspaper clippings to a hand-signed letter by President Woodrow Wilson on White House stationery. Annin’s documents and artifacts are now housed in environmentally stable cabinets along one wall in a conference room. Pieces of framed artwork and photography are on display throughout company headquarters. Key employees have hands-on access to the collection as needed. 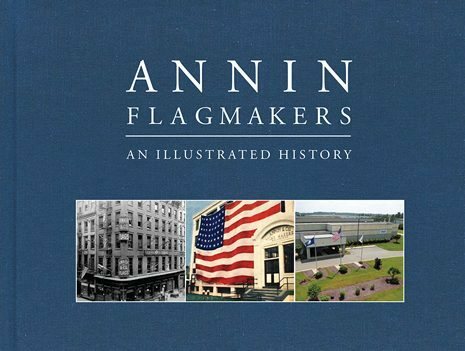 Perhaps best of all, Annin intends to update the collection regularly, making it an ongoing resource for flag historians and future company leaders.